If you want to sport a summer-look without spending too much moolah, dress up your tips instead with this season's hottest, high-impact, flower-power shades from Rimmel London. The brand collaborated for the second time with Rita Ora, a British songwriter, singer and actress, after the phenomenal success of her first Colour Rush Collection and came up with super-shine pastels and bright shades of nail polishes that are surely to make your summer epic with lots of colour and shine. Chip-resistant, anti-fade, high-shine colour lasts up to 10 days. It has a quick-drying formula dries in less than 60 seconds*. It has a precision maxi brush glides perfectly on the nail for a flawless professional-like finish. Wild-Er-Ness is a lovely, blue-toned lavender. It's bright, but not too bold. Flirty, but not too loud. In short, this is the perfect pa-girl shade for summer! Glaston-Berry is your best bet if you want a bold, bright tips but still not up for wearing reds. I've already tried a Rimmel nail polish before and just like before, these babies didn't disappoint. Except of course that again, it didn't live up to its claim of being chip-free for 10 days on me. Though I didn't try wearing it for that long, I already saw some chipping on the 4th day. But do take note that I wash my hands a lot, do house chores and I do a lot of typing at work. What I really like about these nail polishes is that it really dries up fast! I think it dries in less than a minute. This is perfect for ladies on the go. The finish is so shiny, you don't even need a separate glossy top coat. It comes with a wide brush that's a bit rounded at the bottom, that those with tiny nails would find too wide (me included) but it does help in covering the entire nail in just a few strokes. I am not sure with the other shades these two shades have amazing pigmentation, I get full opacity in just two layers. The price is affordable (just don't start converting, my fellow kabayans!) 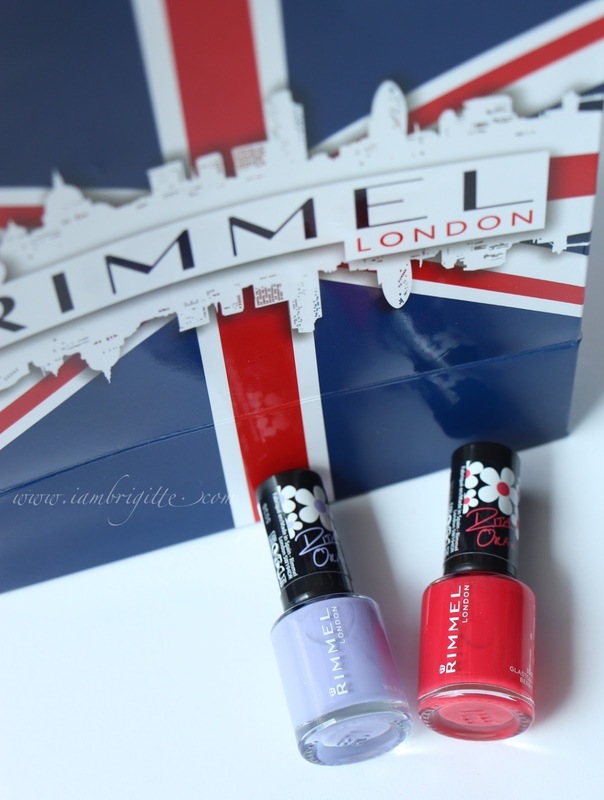 so, if you want to start building a nail polish collection, check out these babies from your nearest Rimmel counters.